Welcome to Elite Tournaments newest event page, this upcoming summer we are happy to introduce our newest event "The Beast of the Southeast" a summer kick off event in Huntsville, Alabama. We are pleased to announce our newest event will be held in Huntsville, Alabama; a great sports destination where previous events have flourished. 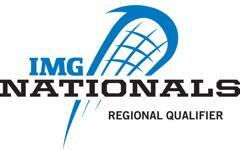 We want to bring Lacrosse back to the area after it went years without an event. The facility is the best in Northern Alabama and is a centralized area for our teams. We expect over 60 of teams from Georgia, The Carolinas, Alabama, Tennessee, Louisiana, Texas and more to attend this years inaugural event. ©2019 Elite Tournaments / SportsEngine. All Rights Reserved.